My last post was about the annual tradition of new year resolutions. Well, you saw mine, now what? I have had a week to think about 2010 and how to live up to my very public declarations . . . I decided to dust off some tried and true publications that frankly helped me to reach some important goals in 2009. I’d like to share them with you~ perhaps these books will help you as they helped guide me last year! The story – a good friend and colleague told me about a book that she and some friends used to guide them through career goals, relationship trials and other typical life challenges. She told me how successful each person was as they worked together using the book (yes, book) as a guide. I said, wow! Sounds great. Let’s do it! 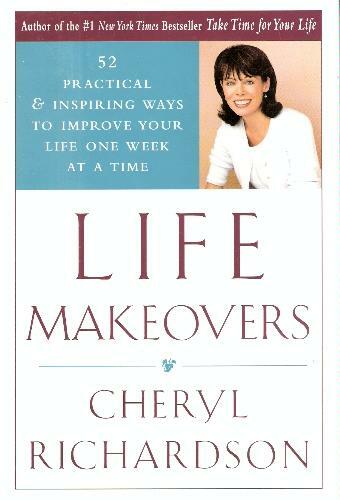 The book is called “Life Makeovers” by Cheryl Richardson. I bought the book, which is a weekly guide encouraging you to take small steps to make changes in your life. Richardson, encourages readers to meet with a small group of “like-minded” individuals (my words, not hers). The group meets informally (over lunch, online, conference calls) to support each other through identifying and addressing any changes each person wants to make. Honestly, it’s a quick read and frankly you can get the principles in a short period of time. The value in the “Life Makeover” process is that you can follow the weekly process, skip to the chapters that you need or just randomly select sections that may be relevant! Trust me it works . . . So, this week I dusted off my copy, reviewed where I left off and picked that baton right back up to “keep it movin”! I suggested the book to a few male friends and they (being men) felt it was too “touchy feely” ( a quote) for them. I said whatever, keep struggling with your challenges and watch the ladies move on. Gents, don’t knock it till you try it! The second pub (which was gifted to me by the same friend ~ you know who you are!) . 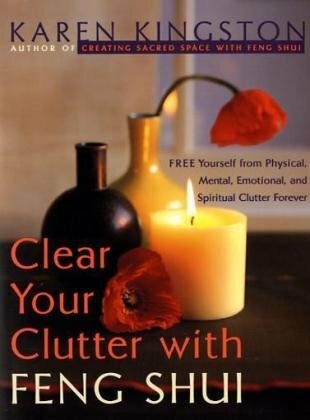 . . is called “Clear Your Clutter with Feng Shui” by Karen Kingston. A game changer for me! Let’s just say, I had a tremendous amount of clutter. I had compartmentalized my clutter (basically shoved it in a closet, extra bedroom, file drawer ~ whatever), but I knew it was bogging me down. True confessions ~ I just couldn’t seem to let go . . . throw away . . . give a-way . . . etc . . . . those that know me are amazed at my personal organizational transformation ~ “nuff said!” Therefore, I dusted this one off too! I’m ready to move forward with the next phase of clearing clutter. As the additional clutter clears, there will be a clear path to success!! Run, jog, jump rope to your nearest bookstore, you’ll thank me later! P.S. My final acknowledgement goes to WBPW for the blog title inspiration!